After practicing law as a criminal lawyer, Chris made the jump to civil litigation where he now helps individuals and closely held businesses in arbitration and courtrooms. He enjoys working with smart, confident clients, helping them to understand the ins and outs of what they might encounter if they decide to seek a trial. Chris draws on his 15-plus years of litigation experience to help his clients get the best results possible in their situation. A practice built on litigation experience. 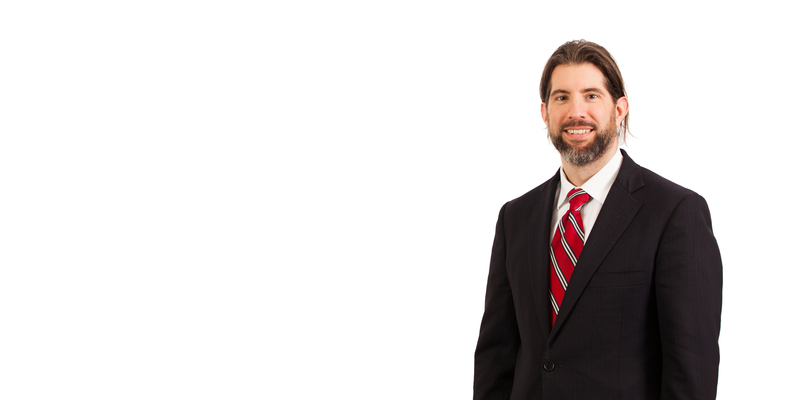 Chris’ experience spans a wide range of litigation including representing small, midsized, and large companies in Kansas and Missouri state and federal courts, including the Eighth and Tenth Circuit Courts of Appeals. In particular, he has a strong focus in the construction and transportation industries. Further, his background in criminal defense means he knows how to be aggressive to get positive results, but also how to remain professional. His experience includes federal and state regulatory, trial, and appellate cases, with particular experience in criminal defense, transportation, class-action, intellectual property, construction, and commercial litigation cases. He has also defended multimillion dollar class actions. An attorney who is ready and willing to go to trial. Unlike some Kansas City attorneys, Chris is willing to go to trial for you if it is within your best interest. His long list of successful cases and his experience in a wide variety of trials and appeals in so many different areas makes him the ideal partner for businesses who are seeking to right a wrong. Chris also fully understands the challenges of effectively engaging in long periods of pretrial discovery and makes it a priority to give his clients space to focus on their business while he handles the legal issues. His dedication to each case, paired with his pride in being accessible, and his analytical and rhetorical skills make him a great business partner, especially for those in the construction, real estate, and transportation industries. G.W. Van Keppel Company, Inc.